Excellent Fluking today with our crew that came up from Charleston, SC to get in some of our great Summer Flounder fishing. 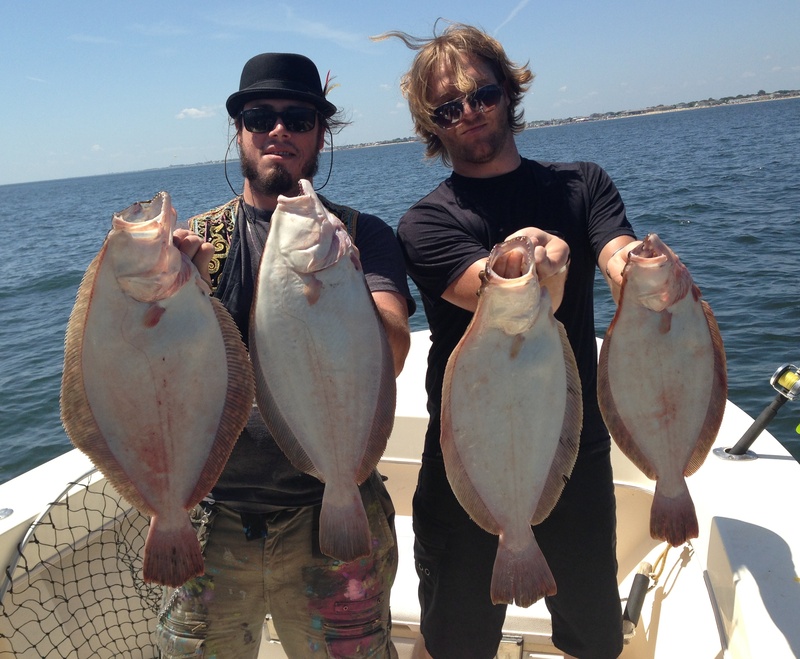 We had some big Fluke come to the net today and it was a picture perfect day on the water with a light West wind. all told we had 9 fish in the cooler at the end of the trip and here’s the best part, they have to get on a flight now and I got to keep all of the fillets! All of the fish were taken on Berkeley Gulp and Peruvian Silversides. We caught a LOT of fish today and some quality fish at that………..